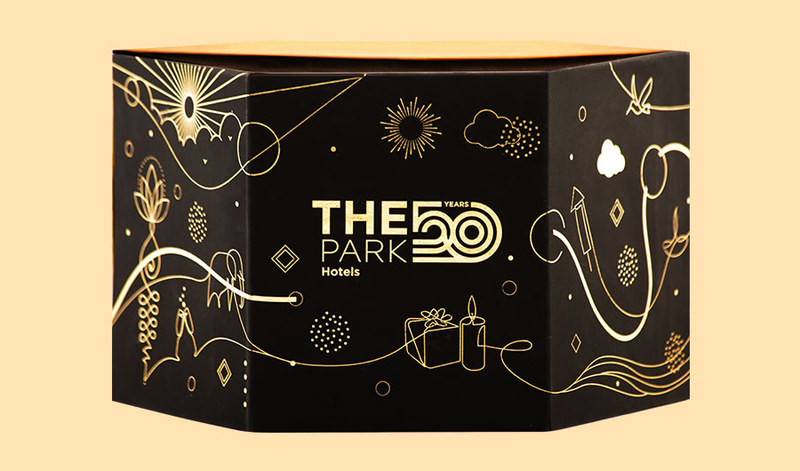 The Park Hotels, pioneers of luxury boutique hotels in India turned 50 recently, kicking off a year-long celebration. 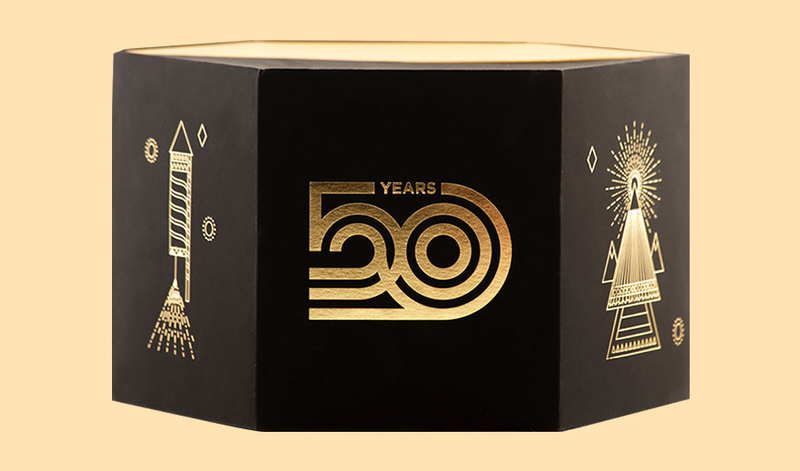 In the spirit of this milestone, our goal for their Diwali season's hamper was to design a gift box reflecting the festivities. 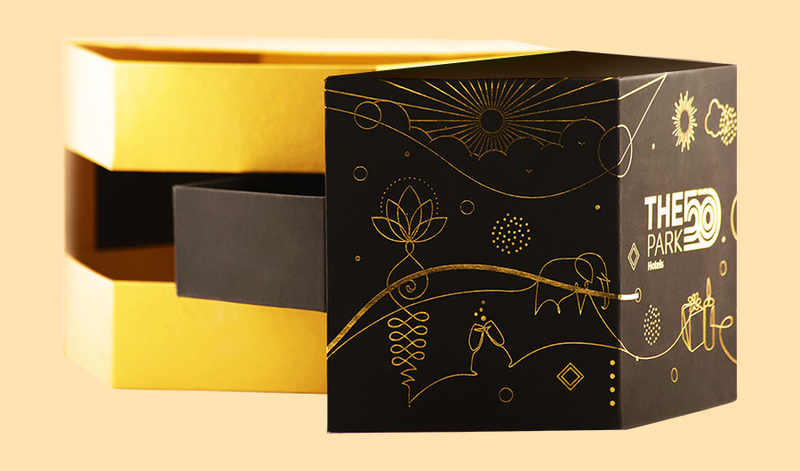 This box stays true to the brand's black and gold theme, with a black velvet and metallic gold base and a laser cut sleeve. 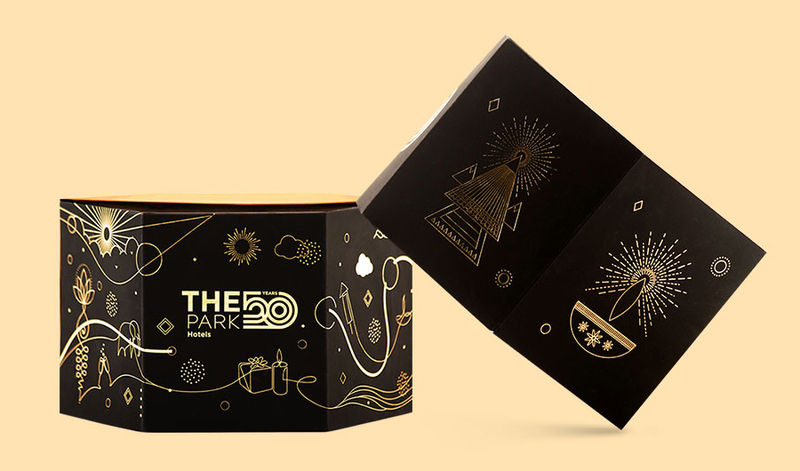 A dynamic construction, this three - tiered structure is gold foiled with edgy linear graphics depicting everything Diwali (the festival of celebration and light). A Dynamic three-tired structure. 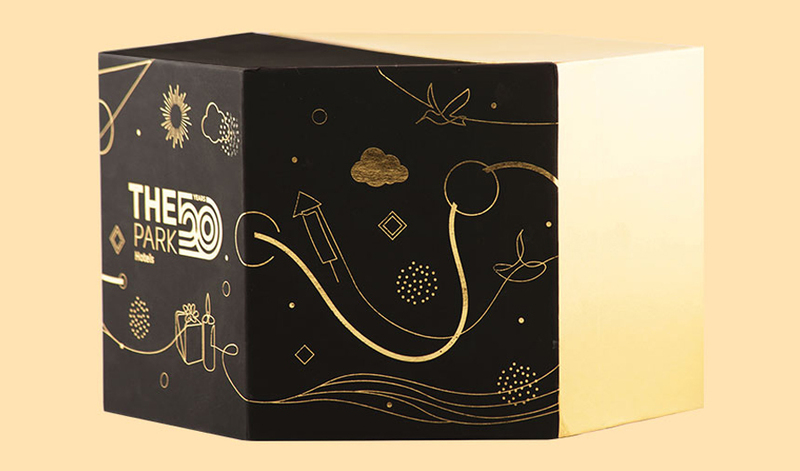 A base made of black velvet paper and metallic gold paper. Gold foiled graphics. An embossed, foiled logo on a laser cut sleeve.